On Friday, I sent a message to a well-connected person in indoor lacrosse, asking if I would be spending winter weekends at home because of the labor dispute between the National Lacrosse League and its players. The news went right out on Twitter, where it immediately attracted attention. Scoops will do that. Work leaked out on a settlement through other sources on Saturday. Once the players association ratified the deal on Saturday night, the agreement was announced in public. And everyone connected with the sport exhaled. The new collective bargaining agreement is a five-year deal, although we don’t know what opt-outs are involved. We also don’t know the particulars of the agreement yet. But we do know that this was a terrible time to have a labor problem. The NLL is ready to welcome two new franchises this season in Philadelphia and San Diego, and this was no way to generate interest in those teams. In addition, a team in the New York City apparently was set to be announced for 2019-20, but that had to be postponed under the circumstances. A long dispute could have slowed any momentum the league had gained from the awarding of expansion teams. We’ll let the guys in suits figure out the details of the new CBA. At some point, the NLL has to address the fact that the haves and the have-nots are miles apart in revenues, even if the dollars involved are practically pocket change to the big leagues of sports. That argument is going to be ugly when it happens, but it can wait. It sounds like everything will happen at warp speed when it comes to the opening of the season. Training camps will open up next weekend. The Dec. 7-9 period also is open for practices, scrimmages, etc. Then the schedule opens on Dec. 14-16. In the meantime, plenty needs to be addressed. Start with the schedule. Games in the first two weeks of the season had been cancelled. Therefore, the league now has to figure out what to do about that. Four teams – including the Buffalo Bandits – had two games in that span, six teams had one game, and one (Philadelphia) had zero. Decision one is whether to go with an 18-game full schedule, or cut it down to 16. An 18-gamer would mean the missing games would have to be made up somewhere. Teams do have bye weeks along the way, so some contests could be placed there. In addition, the start of the playoffs could be pushed from the end of April to the beginning of May to open up a week of possible dates. Anything along these lines is complicated, as buildings are already occupied during the course of the winter. But a 16-game schedule offers some difficulties too. You’d have to cancel games for all but the four teams who were scheduled to play twice in the first two weeks of December. If you haven’t noticed, most businesses don’t like to refund money. The league also might have to consider a change in some game matchups in order to keep more of a balance in terms of divisional opponents. Next is the matter of free agents. No one was eager to jump to new teams during the dispute, since no one knew what the rules would be in that area once the new CBA was adopted. Would the age for unrestricted free agency be changed? Would salary restrictions on teams be different? Assuming that the rules have been put in place, teams have a week to work out contracts before the start of training camp. That’s not much time. lose to home, there has been considerable chatter in the offseason that the Bandits are interested in signing Matt Vinc. The Canisius College graduate is arguably the best goalie in NLL history, and he has been just down the road in Rochester. With that team moving to Halifax in a year (replaced by an expansion team), Vinc may want to make sure he can stay in this part of the lacrosse world by signing with the Bandits. 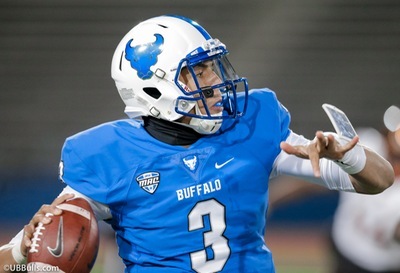 Buffalo opened up a spot for him with the trade of Alex Buque to New England. If Vinc doesn’t arrive, the Bandits probably will kick the tires on other free-agent goalies to see what might be available. The position is the team’s biggest question mark entering the season. Speaking of roster spots, Bandits’ co-coaches John Tavares and Rich Kilgour and their counterparts around the league will be in a tough spot in the next couple of weeks. They’ll only have two weekends to decide who will be on their Opening Night roster. That’s hardly any time to evaluate new talent. You’d think the league might be tempted to install a temporary increase in roster size (active and/or practice squad) for the first two weeks of the season, in order to give everyone a longer look. If not, mistakes no doubt will be made, and the waiver wire will be examined even more closely than usual. All of this chatter, of course, will pass in a relative jiffy. When the teams start playing games for real in mid-December, much of this financial talk will fade as the focus shifts to the games themselves. That’s just as it should be. (Foillow Budd on Twitter for more scoops @WDX2BB).